As NetVEST’s Executive Vice President, Jayson Walker Sr. uses his extensive knowledge and experience in retirement planning, investments, family wealth preservation, estate planning, long term care and insurance. His goal is to deliver total wealth management through sound advice, helping create value, focus and understanding. For over two decades he has helped clients identify and assess their personal and financial goals while simultaneously developing personalized solutions to address their objectives. A Utah native, he began his career as a stockbroker in Salt Lake City in 1987. 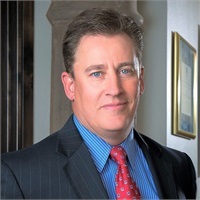 Prior to joining NetVEST in 2008, Jayson founded Walker Financial, a wealth and estate management practice that provided comprehensive asset and estate strategies to Arizona families. Jayson is a registered representative with LPL Financial and specializes in long term care. He has earned numerous client service honors in his 25 years as an advisor. Jayson’s registrations include Series 7, 63 & 66 held through LPL Financial.